Contemporary masterpiece beautifully situated on 120 acres offers privacy and breathtaking views in every season. Main House and Guest House were designed by Steven Haas, recognized by Architectural Digest as one of the world's foremost architects. Sorpetaler sliding glass walls and expansive decks create a harmonious interplay with nature. Beautiful barn adds to allure of this unique property. Outdoor features include 25-meter heated saltwater lap pool, hot tub, outdoor showers, stone fire pit, exquisite rock outcroppings, sweeping lawn, hiking trails and access to Williams River trout stream. Quintessential Berkshires setting off private road just minutes from vibrant town center of Great Barrington, selected in 2012 by Smithsonian Magazine as #1 of The 20 best small towns in America. When New England Hall of Fame Interior Designer Dalia Tamari decided to devote 3 years to designing and building this 6,700+/- sq.ft. 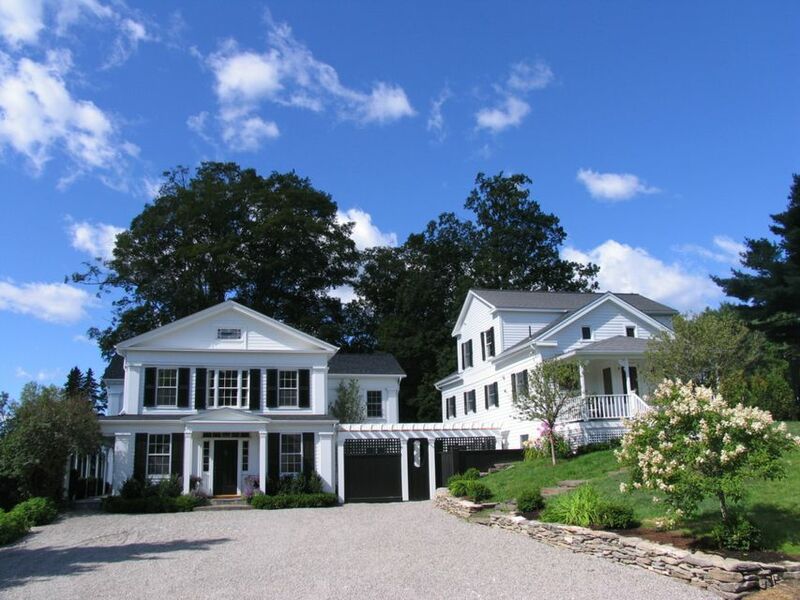 European influenced country home, her first step was to select the best of settings in the heart of the Berkshires, MA. The chosen 68+/- acres, accessed by a long and winding drive leads to a hilltop with commanding views and privacy. Exceptionally designed, the home is both grand and family friendly. The kitchen, by the famed designer herself, is a prime gathering area to cook together, set against an elevated field stone fireplace. This magnificent property offers a 1st floor master and 5 add't bedrooms upstairs, all with baths ensuite. The pool is adjacent to a pool house with full scale kitchen and laundry. All set on beautifully landscaped grounds. ''Jackson Hole in the Berkshires'' has a commanding mountain presence on 72+/- lush acres with views to Vermont, Williamstown proper and Mt. Greylock. 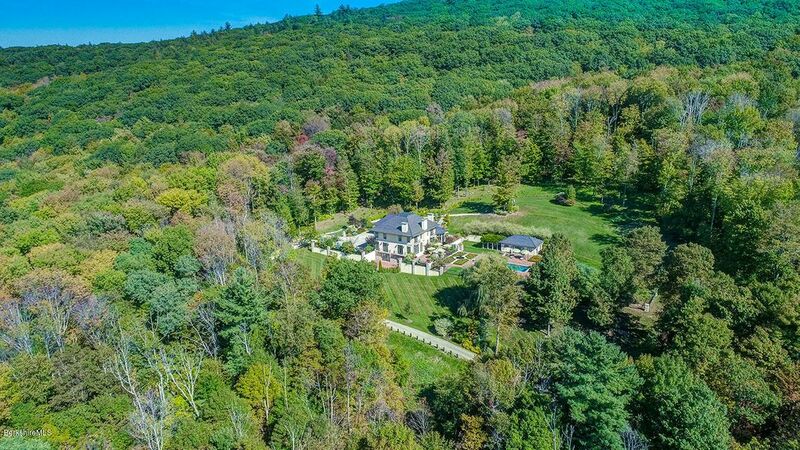 To add to the ultimate privacy, the property is surrounded by the 2600+/- acre Hopkins Memorial Forest owned by Williams College. 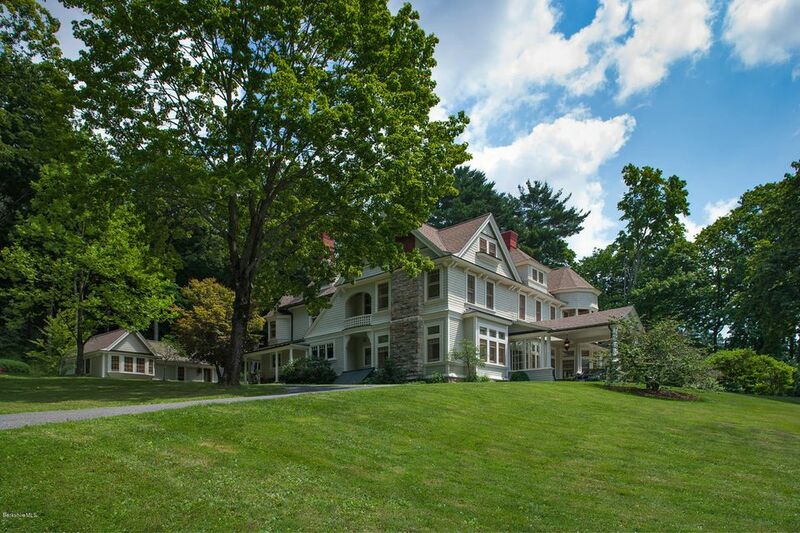 While offering the utmost in privacy and tranquility, the house is minutes down the hill to the burgeoning North County cultural and recreational amenities fueled by MassMOCA, Williams College, Williamstown Theatre Festival, the Clark Art Museum and Jinny Peak. Designed by a famed Jackson Hole architect and constructed with beams hand hewn in Montana and shipped to Williamstown, the 10,000+/- ft* residence has two levels, a first floor Master bedroom and 4 other bedrooms, all with baths ensuite. Unsurpassed 19th Century Queen Anne Style Berkshire Lenox ''Cottage'' restored and reinvented for today's most discriminating family wishing for an understatedly elegant, 'cool' and comfortable Twenty-First Century lifestyle. See attached document for all details. Shown by advance appointment only. 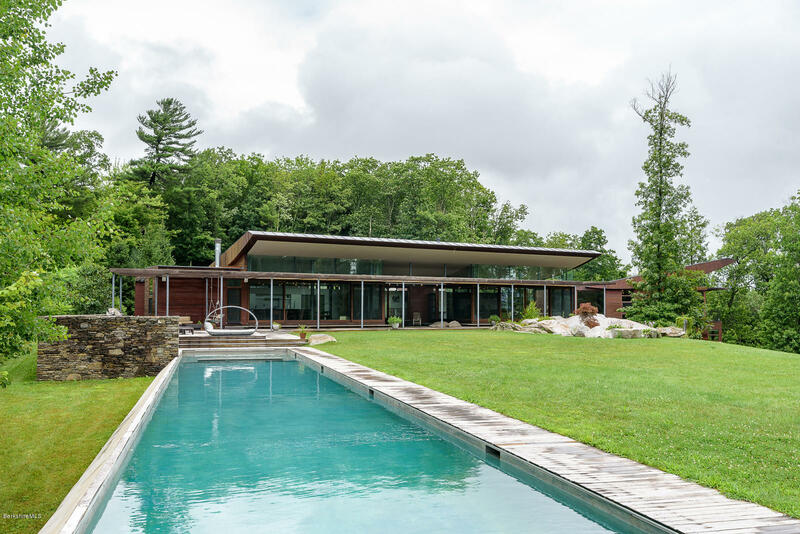 Complete 2012 rebuild and seamless expansion of a gracious home on The Hill in Great Barrington, into a stunning timeless and modern Federal estate, perched on a notable parcel with a barn and private spa pool. No detail was overlooked inside or out from custom everything to geothermal heating and cooling. Too many amenities to list, including central A/C, full house generator, Pella true divided light windows throughout, Rocky Mountain hardware, Lutron lighting, spray foam insulation, double insulated floors, and most all of the house has radiant heated floors and of course state-of-the-art mechanicals. 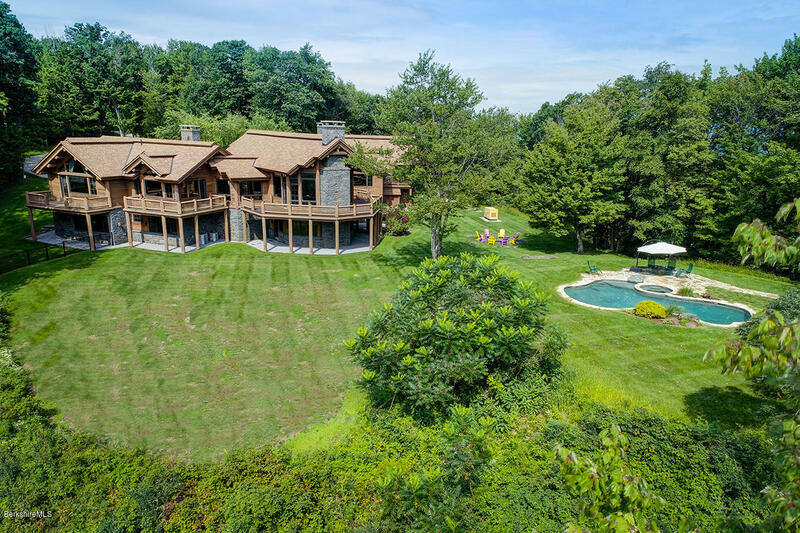 The three acres are beautifully landscaped and include a spa pool with a waterfall and auto cover, bocci court, invisible dog fence, a seasonal stream, and a barn. Walk to town. Host and entertain in the embodiment of Gilded Age sophistication w/ the finest details & craftsmanship captured by this iconic masterpiece in the heart of Lenox village.Built in 1912 as a summer ''cottage'' for Harley Procter, of Procter & Gamble the home has been the site of some of the Berkshires most lavish celebrations hosting everyone from Arthur Fiedler and Yo Yo Ma to Paul Newman and Norman Rockwell.The elegant 5 STAR 11 bedroom mansion is a centerpiece and crown jewel of the town. 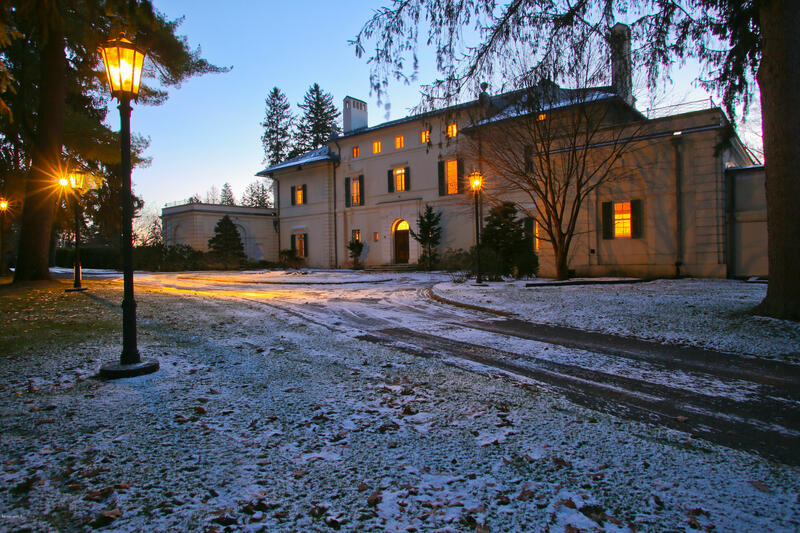 A rare opportunity to enter the rich cultural heritage of Lenox and the Berkshires. Turn - Key and awaiting your fresh energies and ideas! Expansion potential.Newly built 3 bedroom guest home included. RARE WATERFRONT OPPORTUNITY ON THE STOCKBRIDGE BOWL: A PARADISE FOR YOUR FAMILY. 11 Acres on the beautiful Bowl. Over 400 feet of pristine lake frontage looking across the ''belly'' of the Bowl. Two beautiful site specific modern style plans have been drawn with walls of windows from every room facing the lake. Amazing mountain and water views in every season. Build one private home or a family compound. 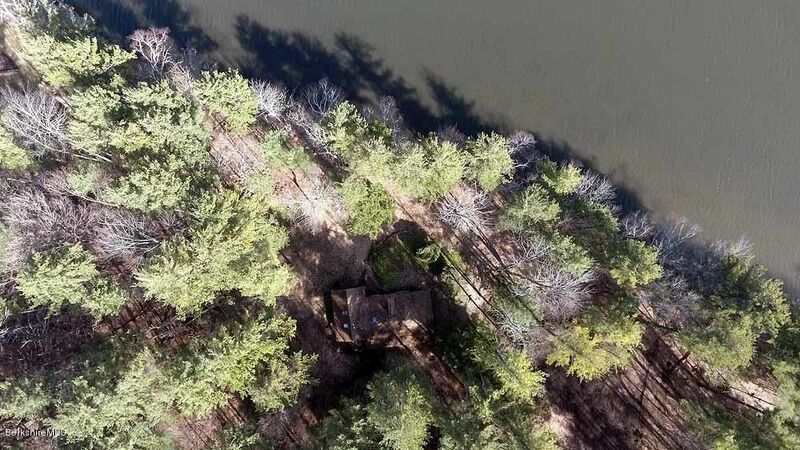 Three home sites with existing structure for rare opportunity to have your dream home within 71 feet of the lake. Minutes to Tanglewood, Kripalu, and Canyon Ranch. Enjoy the ultimate Berkshire luxury lifestyle in this turn-key residence, with a preferred membership to Canyon Ranch resort, which is just steps away. This extraordinary home features a beamed great room with stone fireplace, formal dining room, gourmet eat-in kitchen, main-level master with fireplace & two walk-in closets, main level guest suite, four additional bedrooms, a lower level with vintage soda fountain, screening room, wine room & sauna, a deck & patio, heated swimming pool, & pool house containing a guest suite & full kitchen for outdoor entertaining. Impeccable details throughout, including a heated courtyard parking area; offered fully furnished. Ideally located near Lenox village & the cultural, culinary & recreational amenities for which the Berkshires are renowned. Wind up the gated drive through the expansive lawn to this private and classic/contemporary residence. 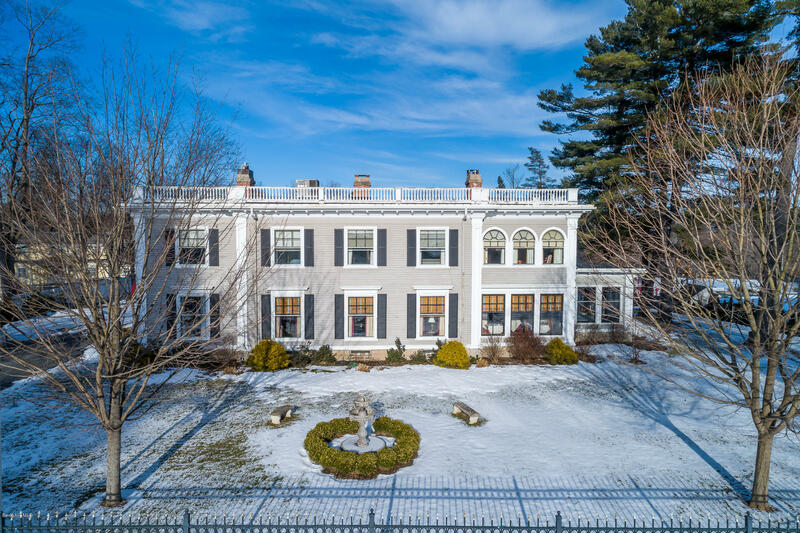 From the car park, enter a gracious and welcoming paneled foyer to striking views through the double-height living room overlooking the stone terrace, pool and grounds to Monument Mountain and the hills beyond. Unmatched attention to the creation of this estate by a noted architect and discerning owners is apparent throughout the home with its views, flow of public and private areas, proportion of design, attention to detail, custom finishes and elegant kitchen. Its attention to both comfort and style appeals to discerning buyers of all age groups with easy access to all rooms, as well as elevator to second story and attached garage. Offer includes two adjacent building parcels. April Hill, a meticulously restored Greek Revival with privacy, guest house, swimming pool and spectacular views. See the supplement for details.